Sean is just down the road from us and offers a great service for those wanting to take their cycling up a gear! If you need a bike service or running repairs he is your man, and can set you on the right path to train that body that sits on top too. Check out Seans website - Seanthecyclist - Book in with us, your bike will be safe and dry in our amazing cycle store and Sean can map out your training for the next year. If you come by car with the bikes on the back we can even send you a 15% discount code to use on the ferry. Cycle round the Island one day and sit and plan the next, sounds like a good weekend to us! 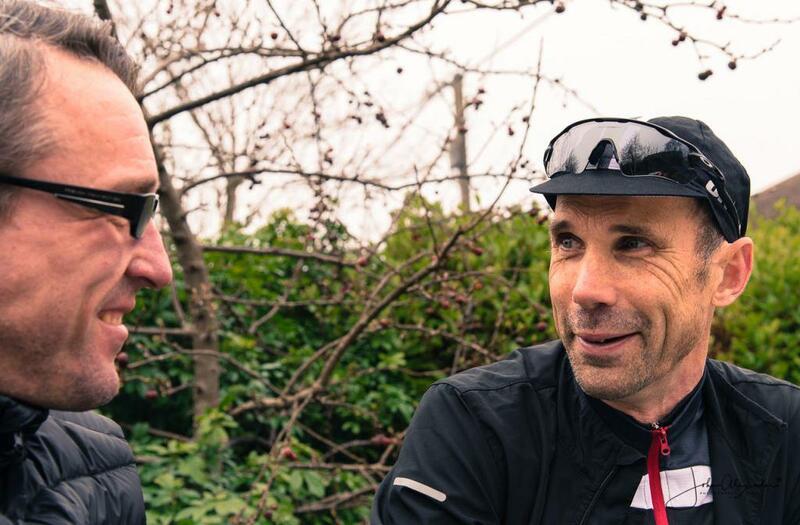 "I am a British Cycling Club Coach and offer a coaching and advice service based largely on my experience of racing and training since I started back in 1992. I am about to undertake the newer British Cycling Level 2 coach Award. I can help you improve your bike fitness, create training plans and guidelines for you, go out on rides and generally just help you make the most from your cycling. I don’t just coach for racing..
Have you a specific goal in mind? or a target race or event? I can help you create an annual training plan based on your aims, starting form where you are now! My coaching ethos is based at guidance and analysis rather than instructional and controlling. I don't do Rocky Balboa! I will draw up an annual plan outlining hours per week, training cycles, taper periods, base and build periods, and peak periods specific to your aims. This plan can be tweaked as the weeks go by on a monthly subscription if you so wish. As well as the annual training plan, I also offer one to one coaching, much like a fitness instructor, but for cyclists. This works on a monthly subscription tailored to your needs and your budget. All training, racing and events are done at your own risk. I will not dictate what you do, and all sessions will be carried out by devising your own training week based only on my guidance, not instruction. I will ask you to sign a disclaimer. The annual plan will include and encourages use of Power Meters and Heart Rate monitors and I offer advice and analysis through testing and use throughout your plan. I also don’t profess to make you a World Champion, neither do I assume I know more than you. Maybe you have a plan and need someone to keep an eye on you! offer guidance, and provide ongoing support to keep you on track. I can do that too but the same package prices and outlines above apply."